Originally I developped it for broadcasting. But it is simple enough to use in ceremony or various events. You can add or delete items with expected time. 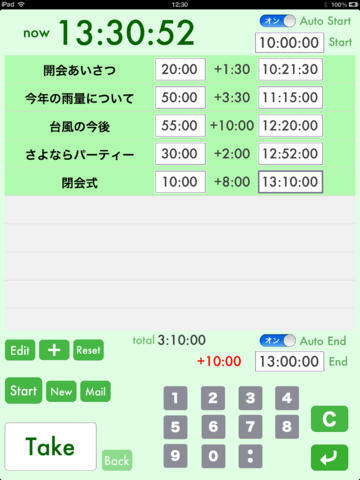 On time goes by,you can delete or add or change expected time to get remaining time you can use until time limit.